If you were on UBC’s Vancouver campus during the winter term, you might have noticed the Veemo velomobiles around campus. Vancouver-based company VeloMetro had five of these vehicles to pilot a sharing service for these electric-assisted bike-automobile hybrids: a global first. The pilot began in November and recently concluded on April 13. 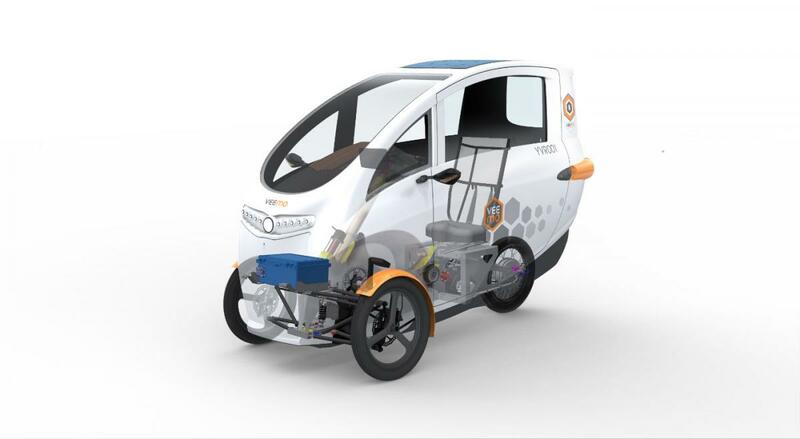 The Veemo vehicles incorporate elements from both the car and the bicycle. They work similarly to a normal electric bicycle, as they are mostly human-powered but have an electric component to help get over hills or long distances. At the same time, they incorporate car-like functionality including storage, weather protection, and a navigation panel. Sustainable features of these vehicles include the rooftop solar panels that charge the vehicle’s battery. As legally classified electric bicycles, they don’t require a license to operate, and can be driven both on roads and in bike lanes, making them an extremely flexible mode of sustainable transportation. Similar to other car-sharing services in Vancouver, users access the vehicles through a smartphone app. To use the service, users sign up for a membership and pay per minute. During the six-month pilot at UBC, 1200+ users logged over 1000 trips, rode over 2000 kilometers, and burned over 120 000 calories. UBC students and other users of the service praised aspects of the service including ease of use, convenience, and usefulness in getting around campus and keeping things like posters dry. VeloMetro chose the UBC campus to pilot the Veemo service due to UBC’s emphasis on being a “living lab” plus support from UBC Parking & Access. Civil engineering professor Alex Bigazzi led a team of grad students to investigate how the Veemo service was displacing other modes of transportation, such as auto trips. 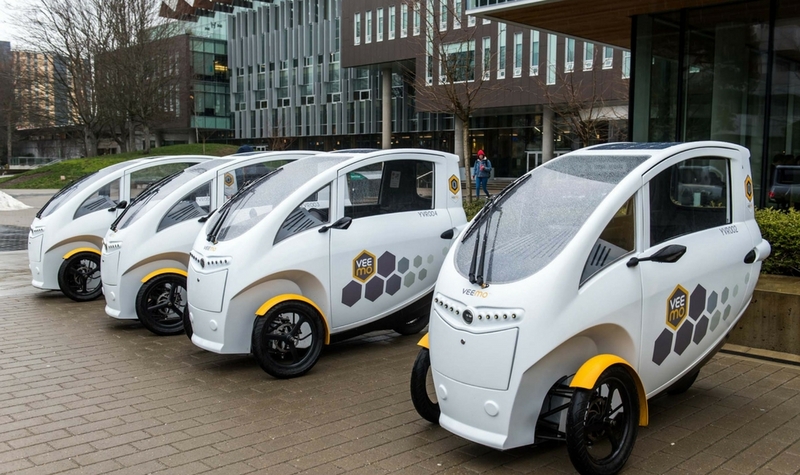 With the conclusion of VeloMetro’s successful pilot of the Veemo system at UBC, they plan to develop a full commercial fleet to launch their velomobile share program in Vancouver by late 2018. For more information visit velometro.com.